TGIF! We made it through another week, and this weekend is looking gorgeous! I have a lot of plans, most involving spending as much as possible outside. The cold weather will be here before we know it, so I want to soak in as much sun as I can while it's still here! 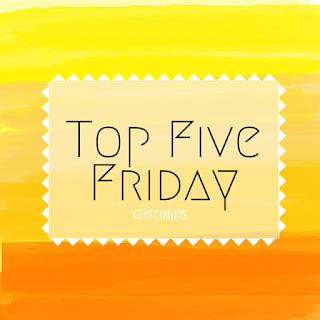 Today, I wanted to share 5 news stories that made me smile this week. It's always good to look for some good in the world, when the news is always blasting us with attacks and deaths and tragedy. I hope you enjoy reading the "good news", and please share any stories that made you smile lately! In case you're losing faith in humanity, read this story. What an amazing thing for such a young kid to do! I love this idea of forgoing gifts and donating to charity. Dan and I (sort of) did this last year for the holidays, and it definitely meant a lot more than getting a pile of gifts. I predict that it will quickly become a best seller. This has definitely been Amy's year, so I'm not surprised that she would cash it in with a huge book deal that's reportedly worth $10million. Not bad! I know that I will be downloading the book immediately, and I know most of you out there will be doing the same! There is a rumor about the topic for the second season of the Serial podcast, and its a very controversial subject matter to say the least- Bowe Bergdahl. It will be interesting to see the team tackle such a highly publicized topic (although it hasn't been confirmed by anyone that works on the podcast). Either way, I'm excited for more episodes, and have been loving a few other similar podcasts - Limetown and Black Tapes Podcast. Both are fictional, but drew me in immediately! The boys are heading to playoffs yet again, and I am SO excited! In case you don't follow baseball closely, there was a long period of time when we didn't even have a winning season, and 20 years went by without any playoff appearances. That was most of my life, so I was really excited when we had a winning season, then proceeded to make it to the playoffs every year since. You might remember that Buster Olney predicted the Pirates would win the World Series back in March, and we're one step closer! Pumpkin Food Has Arrived at Trader Joes! ...and I went a little crazy. There were so many new products this year that I felt pressured to try them all! I ended up getting quite a lot, including Pumpkin Spice Chai Tea Latte (to make my normal mix a bit more festive), Pumpkin Spice K-Cups, Pumpkin Bagels, This Pumpkin Walked into a Bar, Sugar Pie Pumpkin, and good old Organic Pumpkin Puree. What should I make first?! I was talking to one of my best blogging buddies Gina, and she suggested the idea of sharing some of my outfits of the week. I love to see what people wear to work and thought it would be a fun little extra on Fridays! Let me know what you think of this idea, and I hope you like it! I just discovered this youtube channel, and I'm obsessed! I love it when singers do covers of other songs, and I love that the songs are acoustic. How amazing is Demi?! Loved her version of this song! This is not a typical style or genre of music that I listen to, but I was in an indie mood and heard this on my indie channel. I really liked it and thought it was a really interesting and fun song. I'll have to look up more music by this band because I love their sound! In case you haven't heard, Ryan Adams just released an album of Taylor Swift's 1989 covers. I love all of the songs on the CD- they sound completely different and have a beachy, relaxed feel about them. To be honest, I've been listening to Jesse Cook all week at work. If you're a fan of Spanish guitar and that style of music, you will love Jesse. His songs are so interesting and have great guitar runs, as well as fantastic background instrumentals. I love the violin that plays during this song as well. Can I take a trip to Spain now? There were SO many great dances this week- Alexa's salsa (why can't I dance like that? ), Tamar's cha-cha-cha (she looked so natural and her movement was amazing!) and Charleston (I'm pretty much obsessed with Tamar right now..what a great role model for women! )- but I have to say that the crazy sets and production for the dances are a bit distracting and over the top so far. It seems like each dance starts out with a little story and it takes a minute to actually get into the dancing. I would rather have a straight up dance! I'm hoping as the season goes on they take a step back and make it more about the dancing as the stars improve. Did anyone else watch the season premier? I'm kind of obsessed now. I love how the show straddles the line between horror and comedy- there are definitely creepy and scary parts in the show, but it's really cheesy and over-the-top which make it more watchable. I love the premise and the cast is full of some of my favorite young stars (Emma Roberts, Ariana Grande, Lea Michele, Nick Jonas, Diego Boneta...). It reminds me of the Scary Movie franchise! Are there any other Survivor fanatics out there? I go through phases when I love and hate the show. I always love when they bring back old players from past seasons, but there are a lot of contestants this season that I really don't like! I'll be interesting to see how they play for a second time, so I'm keeping an open mind! What shows are you watching? What do you think about adding outfits to my Friday post? Tell me some good news you've gotten lately! I am currently watching Ink Masters and How to get away with murder. I am so happy the Pirates clinched a playoff spot again, maybe this is the year. Besides beer I am not a fan of the pumpkin flavored foods. I love the fall but people tend to go over board with the pumpkin scents and flavorings. Pumpkin beer is the best!! We'll have to meet up and get a good pumpkin brew sometime this fall. I agree that people go pumpkin crazy...I try to keep it in control and just do one run of food and drink then I'm over it. I'm not really into the scents though! As for TV I'm so uncool I have no idea what's even on right now, other than Fear the Walking Dead. My summer show is Suits and once that's over I get back into the Walking Dead. I'm a pumpkin Spice everything girl so I'm game for ALL the fall flavors. I'm pretty clueless with what's new in TV as well! Since I don't have cable it's hard to keep up since I don't get commercials. Love the pumpkin spice!! This is a HUGE list of favorites and I love it! So many ideas for me to get from this! #1 on my list is to head to Trader Joes ASAP tho! YES GO NOW!! Lol all the workers make it seem like a stampede is coming for the pumpkin spice things so I feel so pressured to buy everything before it's gone! i still need to catch up on this weeks dwts so thanks for no spoilers! um, everything is back on tv so i actually have a ton of catching up to do! I'll keep that in mind to keep everything spoiler free!! Enjoy! love the outfits :) Especially that dress. And all the pumpkin things at Trader Joe's?! Love it! Loving the new Ryan Adams album. My boyfriend introduced me to it on Monday... SO. GOOD. I'm a sucker for a good puppy story so I love love love the idea of bullet proof vests for K9s. I love it!! I thought it seemed your style of music. And that story..so sweet! Amy Schumer is hilarious. I can't wait til her movie comes out as a rental. I heard it was pretty fun. I bet her book will be just as good. I love the ABC weds night shows. Nashville is my favorite! Her movie is great!! You're going to love it! Oh my gosh, look at all your pumpkin stuff!! I have been trying not to buy any since we're going away for two weeks, but I hope there's some left when we get back. :) I also LOVE that black plaid dress on you; super cute! I'll have to save some for you!! Thanks Jenny! YES YES YES to your outfits posts! I love your style and need your help! Love it. Happy Friday! love your work outfits! i used to share mine but stopped, and i have been meaning to do it again! love the dress, super cute. and how awesome is that kid? wish i'd been that selfless as a kid! I just started Serial and Limetown and I am hooked! I LOVE your work outfits (so professional!). I would definitely be interested in an outfit post. I work in a research lab so dressing up is risky when working with chemicals. Scream Queens is so good, funny but also creepy! I still have to catch up on the Grey's Anatomy and Scandal premieres. Thanks Gabby! Glad that you liked them, and I'm happy someone else likes Scream Queens! So different! I love that story about the 9 year old! So sweet! Cute outfits!! Thanks Heather!! Have a great weekend too! Same here! He didn't believe me that I actually get dressed up for work. Now I have proof! Eesh that stinks! It's such a pain shopping for fall clothes when it's hot..the last thing I want to do is try on a sweater when I'm sweating! I bought pumpkin bagels this week. Yummy! I didn't know Survivor was back on this week so I got a nice surprise when I looked at my recorded list. I really like it when when players return too. Pumpkin bagels are amazing! That's been my breakfast all week. Can't wait to start watching this season! You are a stronger woman than me!! Hot chocolate sounds good right about now. I'm so happy you'll get to see your son for Christmas..that'll be great!! Well, I know what my weekend plans include. Trader Joe's! :) And I heard about Amy Schumer's book this morning, good for her! I can't wait to read it! That's always a great weekend plan :) Looking forward to her book as well! LOVE the Demi cover!!! Her voice is amazing. My Trader Joe's hasn't had the canned pumpkin yet - how weird?! That is weird!! They better get on it before there's a pumpkin revolt.. I'm getting into Misterwives, as well! I've been playing a couple of their songs for my yoga classes. Cool! I'll have to check out their other stuff! 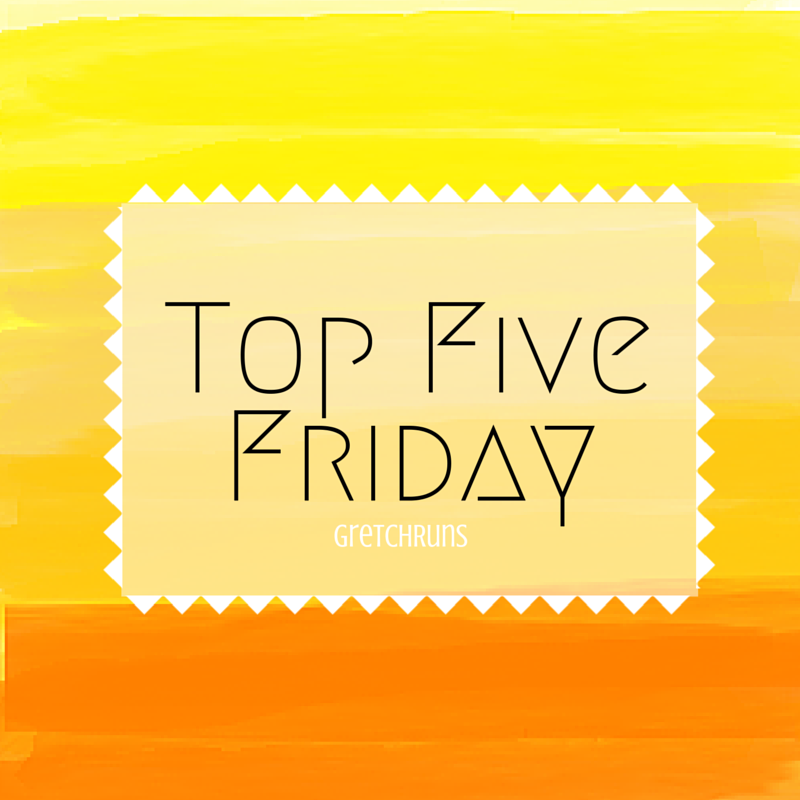 Top Five Friday + Christmas Cinnamon Buns!